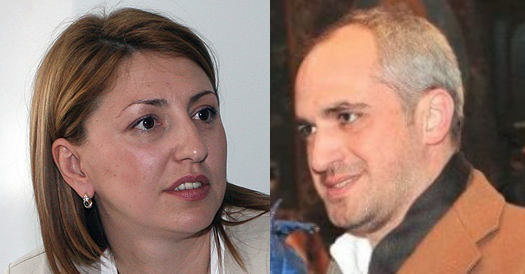 People close to former majority shareholder in the collapsed Corporate Commercial Bank (CCB), Tsvetan Vassilev, had offered money and manipulation of an official report on Special Surveillance Devices (SSD) to the former President of the Sofia City Court (SCC), Vladimir Yaneva. The report, which was to be presented in Brussels by the Chief of the National Bureau for Control on SSD, Boyko Rashkov, could be redacted at the last moment by… Rashkov himself, as he “works for them”. Against this, they wanted only “the withdrawal of… that woman in Ivo Dachev’s case”. (It is not clear who she is.) This is what lawyer Momchil Mondeshki tells the other two participants in the conversation – judges Vladimira Yaneva (then SCC President) and Rumyana Chenalova (already removed as SCC judge over the notorious Belvedere affair). According to Mondeshki, he was the one who had received the proposal. This storyline appears in previously published conversations between Mondeshki and judges Vladimira Yaneva and Rumyana Chenalova. In the new conversation snippet, mentioning the offer in question, Mondeshki and Yaneva speak privately and whisper. Mondeshki specifies to Yaneva what “they are offering”. In the meantime, Chenalova was out to retrieve from Yaneva’s driver the red folder, which had been taken out of Yaneva’s office earlier because Mondeshki was nervous to leave it there. This is a follow up of the subject of payment of money against favors from the judiciary. Immediately after announcing the offer for the SSD report, Mondeshki informs that the “people from FIB” were establishing a fund for Yaneva’s rescue because they were very worried. The two laugh at this news loudly and with satisfaction. In earlier conversations, Mondeshki demonstrated closeness with the people around Delyan Peevsky. His words show that he had been a broker and intermediary in the appointment of CCB trustees. The appearance of Tsvetan Vassilev’s people, who are in open conflict with “Delyan”, now position Mondeshki as a universal broker of influence in the judiciary. You are asking me to comment on some scum that I do not know what their real goals were, making these recordings, and having them distributed; I have no idea. Just very recently, the Bar Association in the city of Stara Zagora did not see anything reprehensible in the actions of lawyer Mondeshki and decided that he had not done anything to harm the prestige of the profession. If lawyers, who filed a request for a disciplinary action against Mondeshki, decide to appeal, the case may reach the Supreme Court Bar. According to Rashkov, “the third-class lawyer”, Mondeshki, has no leverage to influence the drafting and editing of the report and is simply grandstanding. In his conversations with Yaneva, however, there are some details that cannot be explained only by a fictional slander scenario. Such a fact is the letter of 20 Presidents of District Courts to the Supreme Judicial Council (SJC) against the powers of the National Bureau for the Control of SSD. After a meeting in the town of Hissar, they had warned the SJC that these powers undermine the independence of the judiciary, contradict the Constitution and some of the texts of the SSD Act. In the conversations from #Yaneva Gate, at some point, Mondeshki tells judge Yaneva that “from eight the judges became 20“. The recordings were made months before these 20 judges filed their opinion against the Bureau before the SJC. This is strong proof that the conversations are authentic and reflect the relationship between real people and real events, contrary to the thesis put forward by Mondeshki in Trud (Labor) daily. The #Yaneva Gate recordings also mention “spying on embassies“, which was confirmed in a report by the SSD Control Bureau. The eavesdropping of diplomats was subject to a probe by the National Security Agency (DANS) in early 2016, while two months ago, the current President of the SCC, Kaloyan Topalov, issued a separate report on serious violations in the issuing of SSD warrants. The report says that the Court has allowed wiretapping and tracking of persons enjoying diplomatic immunity 52 times, writes Capital daily. Topalov has sent the report to the Prosecutor’s Office. The same Prosecutor’s Office, however, has stubbornly refused to deal with the evidence from #Yaneva Gate. Despite the two-time calls by the European Commission for a detailed and thorough investigation of the allegations in the recordings, the case, filed by Prosecutor Dimitar Petrov from the Sofia City Prosecutor’s Office, was closed. The recordings, published in 2015 and 2016, have revealed information that exposes Prosecutor General, Sotir Tsatsarov, Prime Minister Borisov, and members of the SJC in unlawful trade of influence and abuse of power. Now, there are also allegations that there was an option to manipulate an official report to Brussels on which the European Commission’s Co-operation and Verification Mechanism (CVM) is based. Whether this is a real possibility, or it is Mondeshki’s fiction, is impossible to establish without an independent and objective probe which cannot be done while Sotir Tsatsarov is Prosecutor General and his lobbying majority in the SJC continues to refuse to investigate the contents of the #Yaneva Gate conversations.